Babywise Success Happens Over and Over Again. Babywise goes beyond baby sleep! 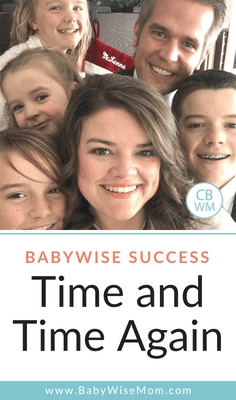 It is that time of year I love: the Babywise Success Stories Week! I fully love reading the successes, small or large, that you are experiencing. I think it is for two reasons. One is I get so many inquiries from parents looking to solve problems. In short, I hear a lot about problems and not a lot about the wins. Another reason I love it is to see that all of the time and effort spent here on the blog is absolutely worth it. You are implementing the principles found in Babywise and seeing success through it. I love that! Each year as we start this week, I think about my own successes. A major goal of parents when they first turn to Babywise is typically getting baby to sleep. That is what they are worried about and what they need fixed. I was that same parent. Good sleep is what made me turn to Babywise. As I read through the book, I quickly realized the focus of the authors was far beyond sleep. Sleep is great, vital even, but it is just a small part of the focus and possible success of Babywise. As you continue on your Babywise path and read more books, you read about the stages of parenting and how the day will come you are off to the side, walking beside your child and being their for advice if needed (if you don’t know what Babywise is and want to read more, read all about Babywise here). Babywise focuses on strong marriages, which in turn strengthens families. The Babywise books care more than just the baby. They care about the healthy of the family. My oldest is now 13. We have spent many hours teaching him, guiding him, and leading him through childhood. He is now a teenager and we are more on the sidelines in his life. Throughout his life, we have implemented the Babywise principles. We require obedience. We strive to teach responsibility. We are raising our children to grow to be adults who contribute to society as a whole, including their own families. Last week, we were at a soccer tournament all week while Brayden was at scout camp. As you might imagine, scout camp doesn’t tend to be a place people sleep a lot. Brayden came home to an empty house after 6 days of scout camp this past weekend. We were at championship games for both Kaitlyn and McKenna. The house was in terrible shape since we had been running from game to game for days. Brayden came home, showered, started his laundry, put all of his scout things away, unloaded and reloaded the dishwasher, cleaned the kitchen, put his laundry away, and did all of his chores before taking a nap. He came home exhausted. He saw the home and thought, “They must have been busy this week for things to be such a mess. I am going to clean this for them so they can come home to a clean house.” And he did it. We were at games and award ceremonies for 7 hours straight that day. As we headed home, the thought of what faced us exhausted me. When I walked in the house, I teared up! His selflessness impressed me. He was tired, but he cleaned instead. Without being asked nor to do anything. This is a success story of the type of teenagers you can have in your home through diligently teaching them how to behave and treat others. The success of your efforts can go so much further than sleep. Sleep is great. Healthy sleep is life changing. There is even more to look forward to. This is just one story from one day. These moments happen time and time again. There are many benefits of Babywise you see in older children. As you are trying to get your little one to sleep or feeling frustrated by tantrums and whining today, remember it is absolutely worth it. The effort pay off long term. As you read of the wins of others, know you can have those wins, also. The effort and works is absolutely worth it. Read past Babywise success stories here. Read How To Do Babywise here. 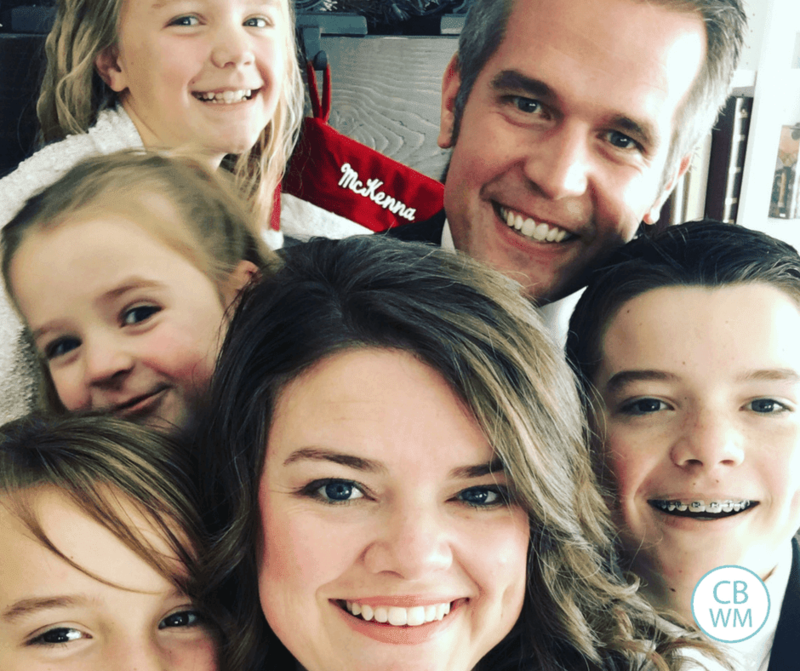 Read 5 Reasons I Love On Becoming Babywise here. Read more about the Benefits of Babywise in Older Children here.